Managed Print Services (MPS) provides the right mix of services and supplies to support your business, helping you to focus on your business and what you do best—instead of spending hours managing your imaging and printing fleet. 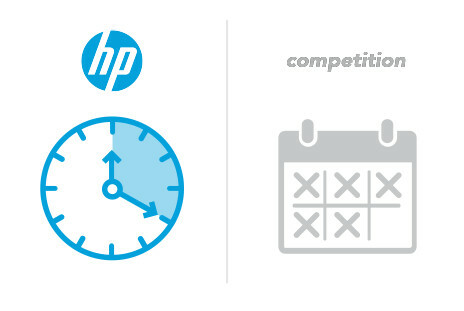 HP actively manages and optimizes print devices and related business processes. We understand that when you have a business to run, waiting for service is not an option. That's why we offer fast service options from 4-hour to next-day delivery. And we make sure that the issue is fixed the first time around.